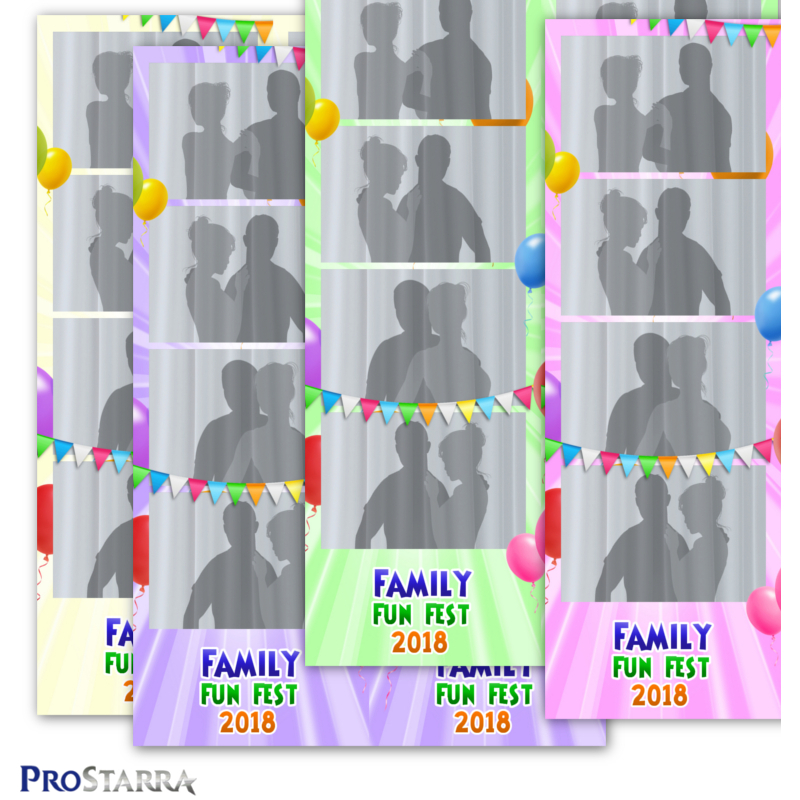 This 4 photo strip layout template is a great way to add more fun to a party, celebration, family event, or special day. 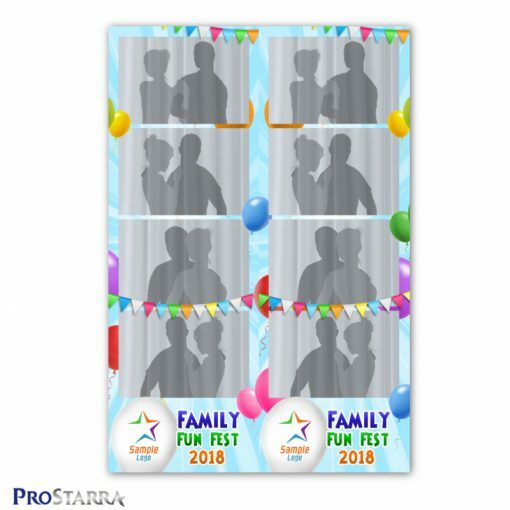 The balloons and bright colors in this 2×6 inch photo booth template will brighten any event you use the layout for. 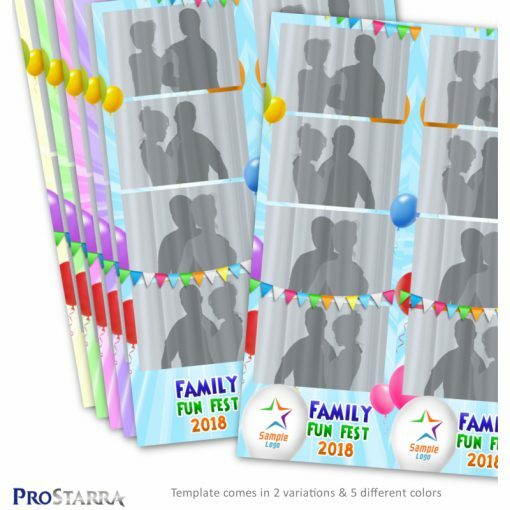 It also comes with the option of having a large white balloon near the bottom of the photo strip where you can place a company or organization’s logo. This photobooth template includes 2 variations of the template: one with a large white balloon at the bottom and another without this. Both versions give you room to include an event or party name at the bottom of the photo strip. Each versions comes with a blue, green, pink, purple, and yellow background. 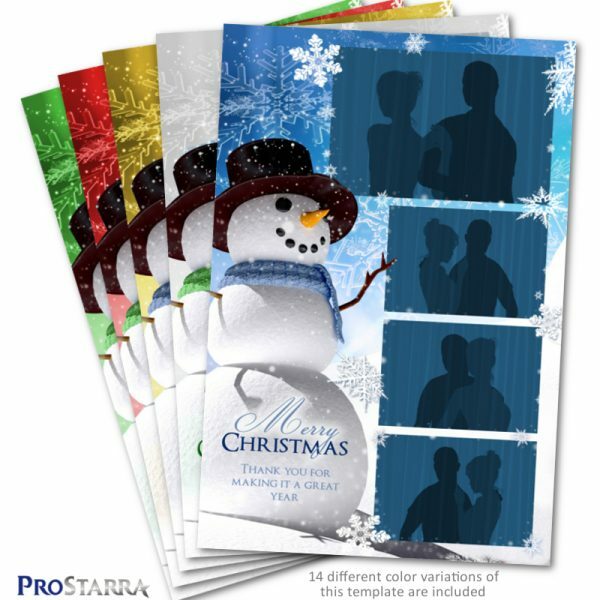 All these combinations result in 10 overlays that are available for you to instantly use without using Photoshop. If you’re familiar with either Photoshop or Gimp (you can learn on YouTube videos), you can customize the template and create any color combination you like. This package includes a layered, organized PSD file, Elements file, and Gimp file. 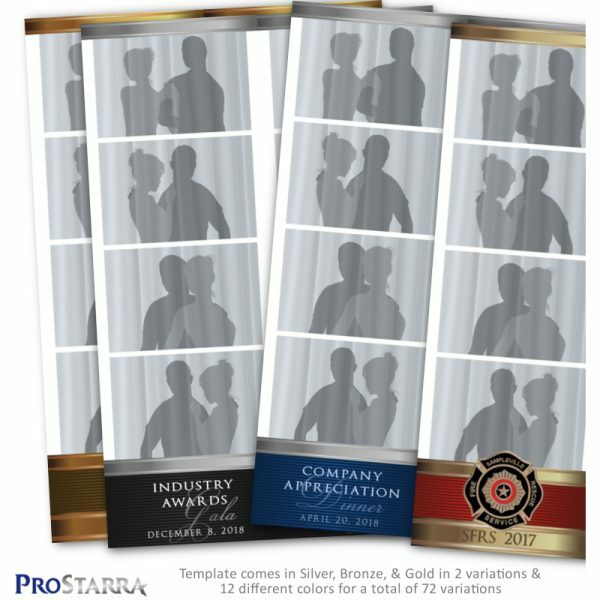 This template works for the following photo booth systems: Darkroom Booth, dslrBooth, Sparkbooth, Breeze systems, and probably most others. For many people, editing images in Photoshop isn’t their their cup of tea. If this is you, don’t worry, we’ve got you covered. 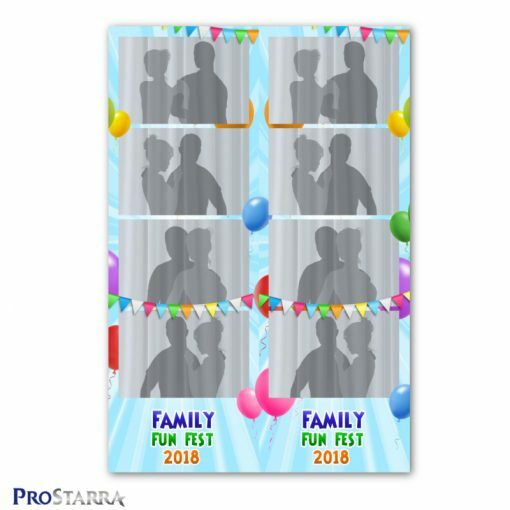 This fun balloon, celebration photo strip template that’s ideal for birthday parties and fun business, corporate, and non-profit events comes with 10 ready-to-go overlays in 5 different colors that you can quickly load into your photo booth software and be up and running in no time. The background colors included are blue, green, pink, purple, and yellow. The font used in the example is Shermlock. 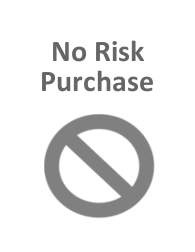 It’s free to download for personal use but surprisingly doesn’t include a user license or information about where you can pay to use it commercially. If we knew where you could pay for it, we’d include a link. If you have any comments or suggestions, please let us know at info@prostarra.com. We’re new and have a lot more features we’d like to add, but we always want to do better too. So please let us know if you see a place for us to improve. 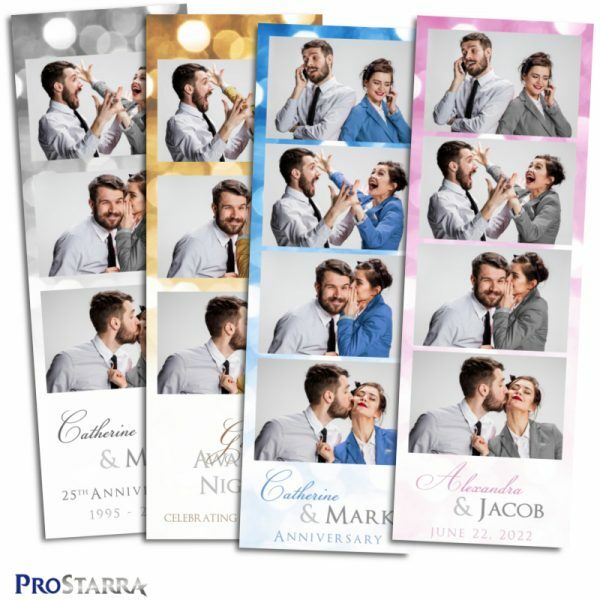 We’d also be happy to hear about any photo strip layout concepts you’d like to see us come out with in the future.